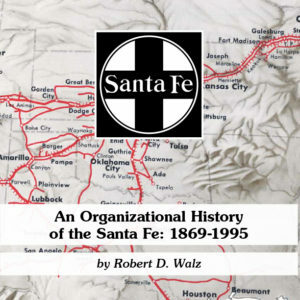 This page presents information gathered from many sources about Santa Fe and the citrus industry, primarily in California. Society member Bob Chaparro hosts the Citrus Industry Modeling Group and much of the information presented here has been developed by Society and CIMG members. Many thanks to them for sharing. We have organized the information into five categories: Historical Photos; Company Documents; Discussion; Model Photos; and Modeling Tips. Because this information is developed from other sources, the Society is providing links rather than republishing them here. If a link is broken or bad, please let us know so we can fix or remove it. Individuals interested in joining the Citrus Industry Modeling Group can click here. You will need to join Yahoo groups to join the group. Los Angeles Central Manufacturing District citrus operations – Bob Chaparro. 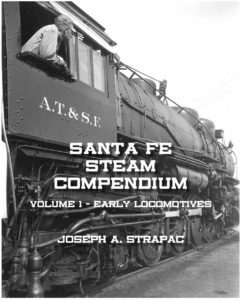 This link takes you to Bob’s discussion of the Central Manufacturing District operations and includes links to photos of both sides of the building, including some Santa Fe refrigerator cars. http://jpg2.lapl.org/pics27/00048175.jpg. Caption: A train of the L.A. Junction Railway Co. is stopped in front of the warehouse of the Great Atlantic and Pacific Tea Co., importers of tea. Photo dated: January 7, 1932. This is a Los Angeles Public Library Photo found by Bob Chaparro. Circular 2-J, SFRD, Handling of Perishable Freight, December 1941, which was provided by member Steve Sandifer. This link takes you to the Members Area. NA Turn – Clifford Prather (from Orange County RHS newsletter). 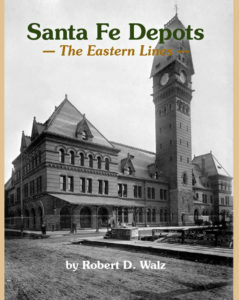 An excellent discussion that Bob Chaparro obtained permission to reprint on this Santa Fe turn in the Santa Ana area on the third district. Packing house model. This model is found a the Corona Model RR Society. Bob Chaparro photo. Click here to see post about it. Modeling condemned Santa Fe refrigerator cars. This link takes you to one part of the conversation; follow the conversation to learn more. Discussion of Walthers 52 foot mechanical refrigerator. This link takes you to a discussion of the car’s accuracy.